When you picture physical education class, you probably think about playing team sports against your classmates, running a timed mile, or perhaps climbing a rope. While those components are still part of today’s curriculum, many people are surprised to learn just how much physical education has evolved over the years. For starters, it’s no longer even referred to as P.E. Now, it’s known as health and fitness class, a moniker that’s more fitting given the broader nature of what these classes cover. "There’s been a clear shift in the way physical education is taught," said Kim Carter, a health and fitness teacher at Tukes Valley Middle School. "The biggest change has been the transition from the skills-based, sports-focused physical education of the past to emphasizing that fitness and wellness are lifetime pursuits that contribute to overall health." 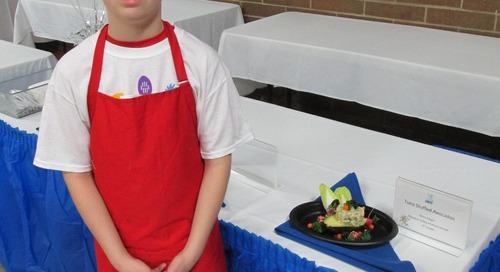 In addition to teaching kids skills for particular sports, fitness and wellness concepts are emphasized by teaching health and nutrition, social interaction and behavioral skills, non-sports activities that require movement, and lifelong hobbies that contribute to a healthy, active lifestyle. A key component of today's health and fitness classes is the use of FitnessGram, a tool that provides each individual student with information about their appropriate fitness level. The tool guides students in setting goals that will help them reach a healthy fitness zone for their age and gender. 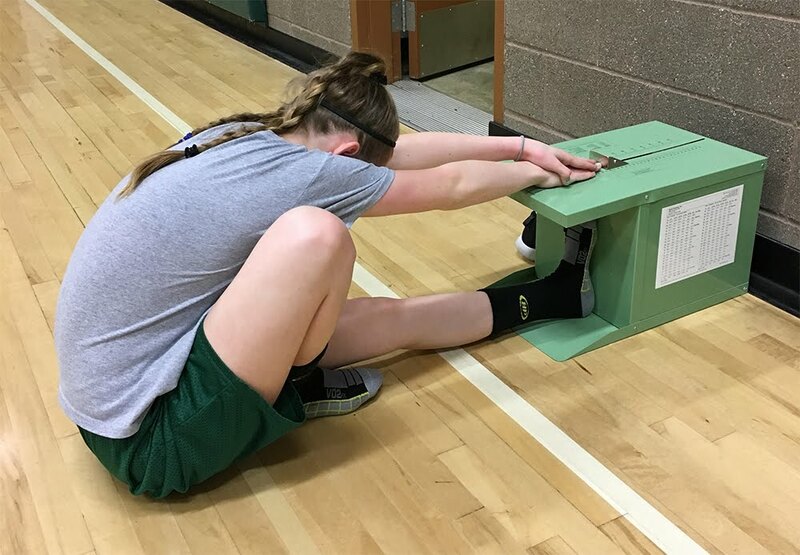 Touted as the first “student fitness report card,” FitnessGram evaluates five components of health-related fitness: aerobic capacity, muscular strength, muscular endurance, flexibility, and body composition. Most children can achieve their appropriate health-related fitness level simply by performing sufficient amounts of regular physical activity. 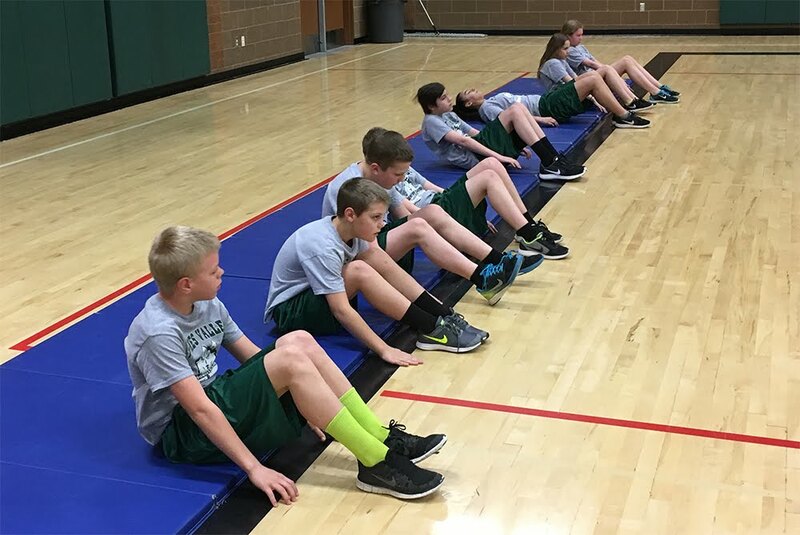 BGPS students in grades 5-12 participate in the FitnessGram program, and the students’ fitness scores follow them as they advance through school. Students are tested at the beginning of the semester to establish a baseline, and then again at the end of the semester to track changes and progress. 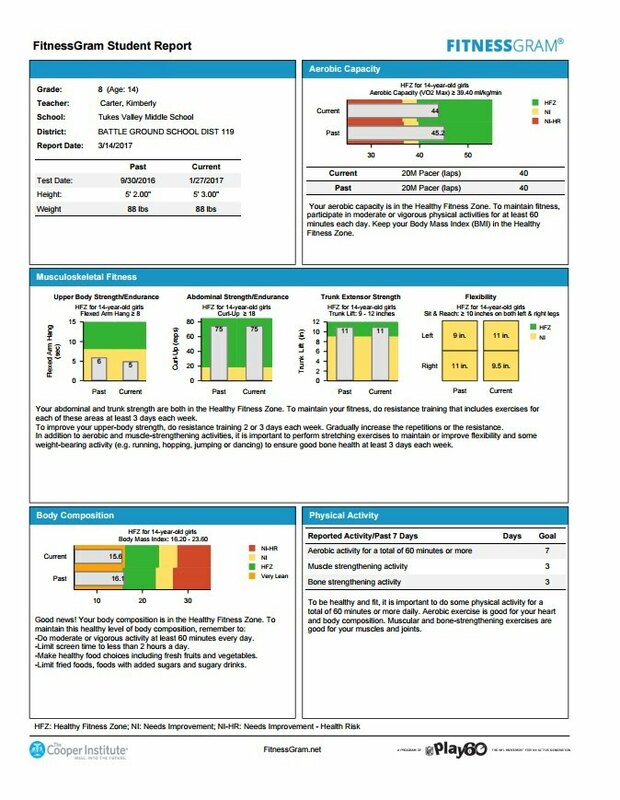 Armed with this report, students and their parents gain insight into the student's overall level of fitness and how it can be improved. “When students begin to learn how to assess their own physical fitness and demonstrate knowledge of how to improve their health, they are able to make independent decisions that will impact their future,” Carter said.